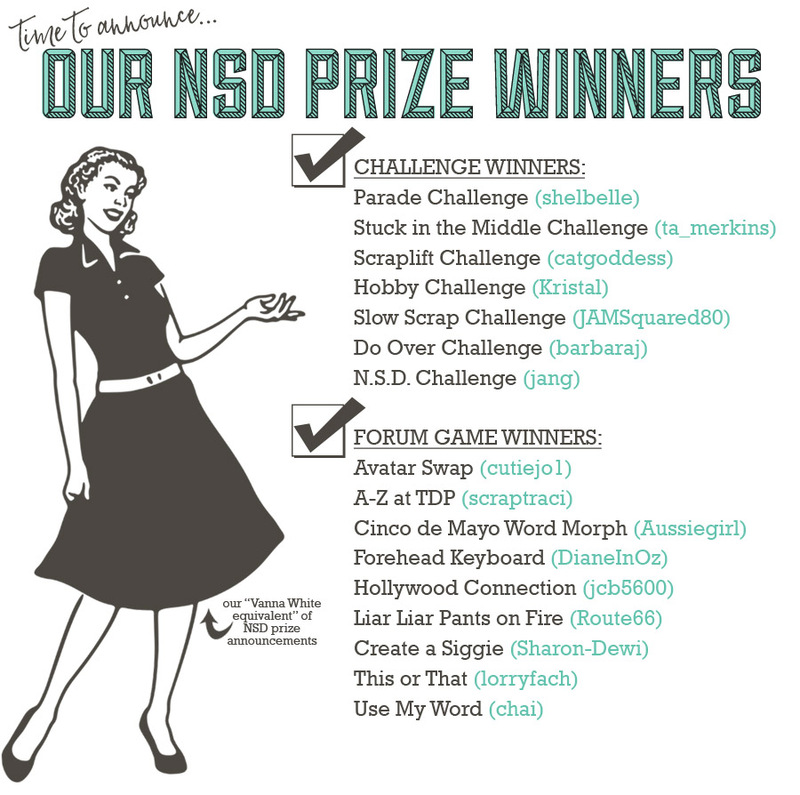 Today, as promised, we released our list of NSD prize winners in the newest edition of The Digital Press News. To everyone else who participated throughout the past week -- thank you for spending your time with us during NSD at The Digital Press! We had a ton of fun celebrating this memory-keeping hobby that we all share with each other... and we hope you did, as well. During our big NSD celebration, we had a lot of laughs and great times (I mean, as always -- is there anything funnier than the Forehead Keyboard game?! haha), and we're so glad you all joined us and contributed to the fun. THANK YOU TO EVERYONE! Holy cow! Thank you so much! Congrats to the other winners as well! Wow! Thanks so much. Congrats to all the other winners and thanks to TDP for the chances to win! Thank you for the prize and also thank you for all the time and effort TDP put into making this a fun week of events. I also appreciated that you started early since my weekend was so full it would have been impossible to participate. Congrats everyone. Noe I've got to get kicking on the challenges. Last edited by jang; 05-12-2017, 12:36 PM. Congratulations everyone - both winners and those that played along throughout the several days of games, activities and challenges! Congrats to all of the winners, and thanks to everyone for helping to make this such a fun NSD! Thanks for a great party! I was so excited to see my name at the end of the list! Thank you so much, and congratulations to all the winners!